Nederlander, Professional Facilities Management, Inc. (PFM) and the Steven Tanger Center for the Performing Arts announced today their partnership to present the inaugural Broadway season at the Tanger Center in the 2020-2021 season. Deposits to reserve season seat memberships for the 2020-2021 Broadway season are currently being accepted at www.tangercenter.com. 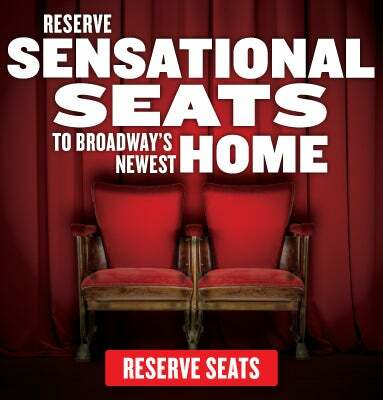 Individuals who place deposits ($100 per season seat membership) will be to able select their preferred performance date/time and have the first opportunity to guarantee their seat for all six Broadway Series productions*. The Tanger Center’s inaugural Broadway season will begin in the spring of 2020 and is comprised of six shows over a 14-month period, including the Broadway blockbuster WICKED. The additional five shows in the 2020-2021 season, as well as the performance dates for all six shows, will be announced in the spring of 2019. The Nederlander Organization, owned and operated by James L. Nederlander, is a company prominent for three generations in the ownership and management of theatres, concert venues and as producers of distinguished entertainment. The Nederlander Organization operates a chain of nine theatres on Broadway, 14 touring venues across the United States, and three theatres in London’s West End. In addition to producing numerous concert events including Billy Joel, U2, and Pink Floyd at Yankee Stadium, a few of Nederlander’s recent Broadway producing credits include: My Fair Lady, The Band’s Visit, On Your Feet!, Pretty Woman, Meteor Shower, Hello Dolly!, Cats and The Elephant Man with Bradley Cooper. Professional Facilities Management, Inc. (PFM) is a wholly-owned for-profit subsidiary of Providence Performing Arts Center, incorporated in 1988 in response to a growing need for objective evaluation and management of small-to-medium-sized performing arts facilities in geographically-diverse locations. One of the first companies of its kind, PFM’s business is focused on what they know and do best – performing arts “product.” Their corporate mission – to bring a wide variety of programming to the broadest audience while maintaining financial responsibility and sensitivity to local constituency needs – has guided PFM to past successes and promises future growth. PFM is governed by a Board of Directors who contribute successful business experience, entrepreneurial spirit, and a bottom-line focus. Presently, PFM holds management/booking contracts in 12 facilities located in eight states.